Sell tickets even without having a website and Facebook page. Free of charge! For each of your events, a detailed eventpage will be created automatically. You can simply use this eventpage to sell tickets of your events. Free of charge! Each ticket buyer will receive a print@home ticket by e-mail. Customers may choose to receive a mobile ticke. It will be sent to the smart phone directly. The smart solution for small and medium sized events. 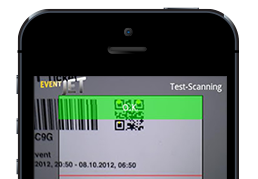 Smart scan can be used to check all Eventjet tickets. The Eventjet Smart Scann is available for iOS and Android. Without computer just with the smart phone! The professional solution for big events. By using Eventjet Profi Scann you can check in easily a big number of tickets at the same time. 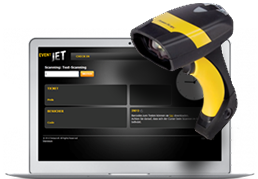 Because of cutting edge technology you can use the Eventjet Profi Scan solution even without connection to the internet . If you want to use more than one check ins at the same time, the Eventjet Profi Scann solution will be the perfect choice! For the Eventjet Profi Scann solution, a computer or laptop is required. Using the Eventjet guest list tool is easy! All you need is a laptop with USB interface or a smart phone with our Smart Scan Application. Your guests register at the venue in REAL TIME by using their personal tickets with a standard bar-code system. This simple but powerful tool makes the check in very easy and reduces personnel costs significantly! 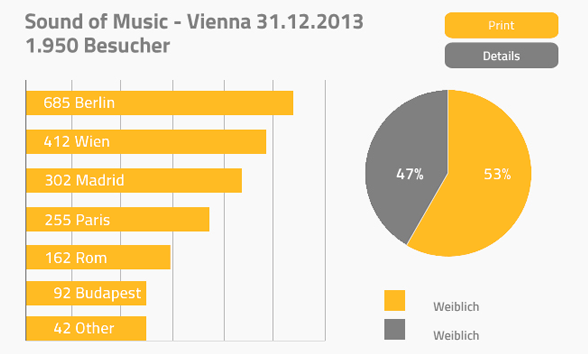 Eventjet is for your guests very easy to use and can contribute a lot to your customers satisfaction. Eventjet offers an endless network of presale outlets. No matter if you are a small boutique, a doctors office or a book shop around the corner. Everyone can register with Eventjet for free to become a presale outlet. Once you have started, you will benefit intantly from higher customer traffic and additional revenues. All you need to get started is a PC or laptop, a A4 standard printer and passion for tickets. As a promoter you may choose your own presale outlets and connect them to the Eventjet network in order to sell tickets for your events. The clearing will be done directly between you and your selected presale outlet. You private presale outlet only needs a PC or laptop, a A4 printer and access to the internet. Cash tickets are the perfect choice it you want to sell tickets either through 3rd partys or you own presale outlets. Of course you an also sell cash tickets directly at the venue. You can also send them physically to sponsors, customers and cooperation partners. Just create the right number of tickets, print them out and start selling! You can print cash tickets physically or you can send them by e-mail as PDF file. For printig cash tickets, you will not need any kind of special equipment. A simple A4 printer will do it!. Cash tickets will be sold through pre sale outlets directly. The ticket price will be collected in cash. The clearing will be done between the promoter and the pre sale outlet directly. It has never been easier ti sell tickets! All cash tickets can be scanned together with the Eventjet online tickets. 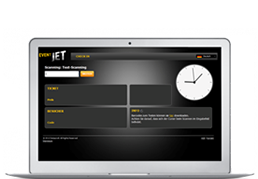 Our free Eventjet scann solutions are for your disposal at any time! The inter active Eventjet seat management is the perfect choice for all kind of events like seminars, theater, sport events, etc. It has nevet been easier for your clients to book their preferred seats! We will be happy create the seat map of your venue for you! "We are happy to say, that Eventjet has become a competent and flexible ticketing partner for our annual Red Cross Ball. The possibility of drawing real time sales reports and other statistics at any time gives us a good overview of our event. The personal and competent support of the Eventjet team is also key to us!"